Hürlimann is updating its XB TB series. Just like its predecessor series, it remains rugged, practical and extremely versatile, but now offers more power and lower consumption thanks to the ultra-modern FARMotion engine. 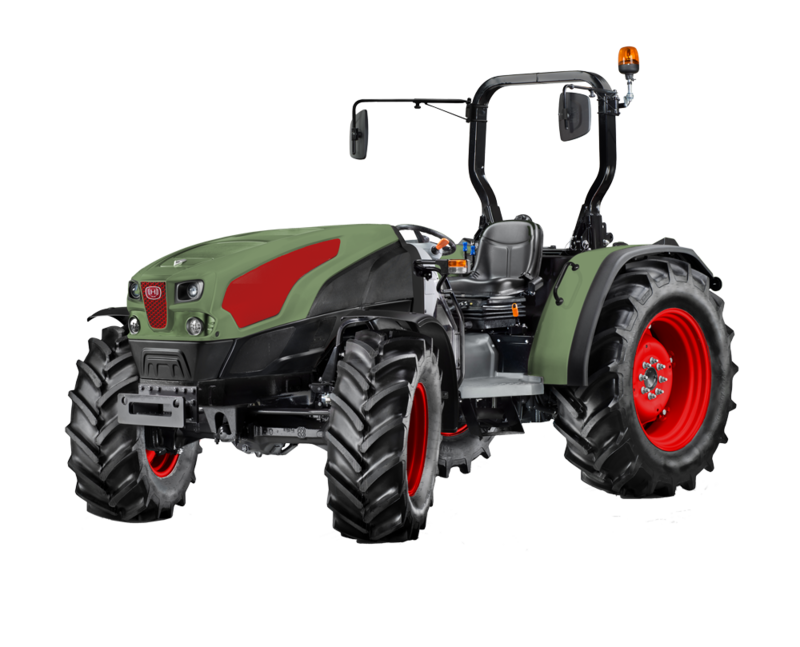 The lowered versions of the XB series, the latest of which is the TB, are primarily appreciated by olive growers, in fruit plantations with large areas of cultivation and in tunnel greenhouses, but also for work on hilly and mountainous terrain. 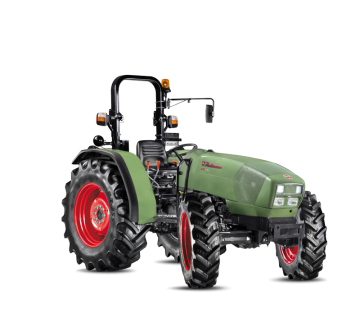 Thanks to optimisation of the uniform cylinder capacity, the innovative FARMotion four-cylinder engine is more compact than its predecessors. A turbocharger with intercooler and wastegate valve, common rail up to 2,000 bar with an electronic control system and DOC catalytic converter + EGR for compliance with Stage III B: this is the excellent package offered by the FARMotion, an extremely advanced engine. 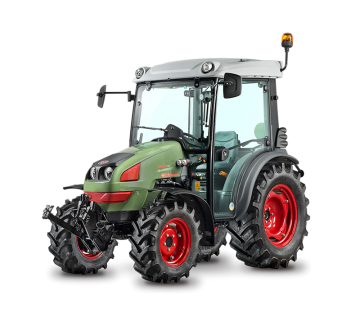 It has been specifically designed for agriculture and excels with its reliability, compactness, minimal maintenance and low consumption, combined with particularly fluid power output and plenty of torque at low engine speeds. The basic model offers five gears and two ranges with synchronised reverse shuttle (10+10 gear ratios). This can be supplemented with the supercreeper gear or a basic PowerShift transmission (20+20) or both options together (40+40). A hydraulic reverse shuttle is also available on request. In keeping with the Hürlimann tradition, the Stop&Go (very useful when working with a front loader and manoeuvring on steep slopes) and the ComfortClutch are fitted in this case, making it possible to change gears without using the clutch pedal. Depending on the tyres fitted (from 24'' to 30'' on the rear axle), it is possible to drive at 40 km/h with an engine speed of less than 2,000 rpm. Special dust-resistant and water-resistant seals are fitted as standard to ensure reliable use in even the toughest of conditions, such as on rice plantations. The open-centre hydraulic system is based on a 55 l/min pump and four to six rear outlets with the precise and reliable mechanical distributor from Hürlimann. To ensure safety and fluid movements, even at low engine speeds, a dedicated 35 l/min steering pump is fitted, now also with SDD. This doubles the steering speed when manoeuvring at low travel speeds. The lift capacity of the rear power lift (on request with quick hitches) reaches 3,600 kg at the lower link ends (optionally up to 4,525 kg). The rear PTO with modulated, electro-hydraulic engagement as standard is available in four different configurations all the way up to the full equipment level (540, 540 ECO, 1000 and 1000 ECO), and as a ground speed PTO with dedicated PTO shaft stub. The front PTO and front lift are also available in 2,100 kg options. A new and more logical arrangement of the control elements on the XB TB makes driving simpler and less stressful. The familiar colour coding from Hürlimann also ensures intuitive, prompt operation without any uncertainties. The floor is fitted on silent block mounts to improve on-board comfort levels. The dashboard and practical digital-analogue display are also new, helping operators keep an eye on all information relating to the tractor's condition at all times. Should the vehicle tip over, two different types of structures are available to protect the driver: A frame with two hinged rear pillars or a front frame with two retractable spars.